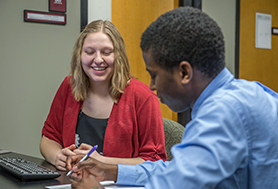 The SIU College of Business faculty and staff pride themselves on providing top-quality services to their students. Whether you are a prospective or current student, we are here to serve you. If you need help with your schedule, credit hours, or have a question about transferring into the College of Business, the Undergraduate Advisement office is here for you! 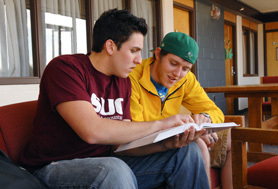 The Academic Success Center was started with the mission of students helping students succeed in subjects such as math, accounting and finance, among others. 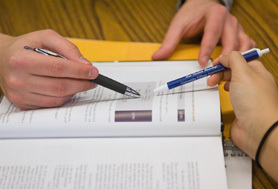 It's a great place to get customized, one-on-one help with your courses. College is expensive - no surprise there. Fortunately, there are a multitude of scholarships available for our students. 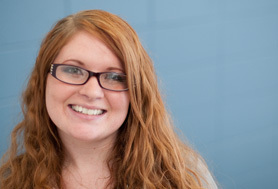 Start keeping your costs under control by applying for a scholarship or two! The Office of Diversity and Inclusion works to increase the retention and graduation rates of our minority students by helping them meet academic, social and cultural needs. You need a career after college. Fortunately the College of Business has a dedicated career office available for its students. Get personalized, one-on-one advice about resumes, companies and more at this site. 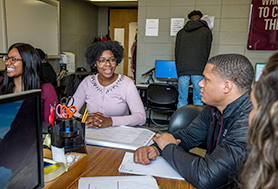 As a College of Business student you have access to resources unavailable to students in other programs - a customized career advising office, a personalized tutoring center, and most importantly, faculty and staff dedicated to your success. Do you have a suggestion? Drop us a note.